Alef-Bet will be closed for Erev Pesach (the day before Passover). Alef-Bet will close early at 12:30 the day before the seventh day of Pesach. Alef-Bet will be closed for the seventh day of Pesach. Join us for Alef-Bet's Yom HaAtzmaut (Israel Independence Day) celebration! Alef-Bet will be closed for staff development. Join us for the Lag BaOmer picnic! Alef-Bet will be closed for Memorial Day. Alef-Bet will be closed for Shavuot. Alef-Bet will be closed for the US Independence Day holiday. Alef-Bet's last day of the year. Join us for Alef-Bet's model Seder! Join parents, children and educators from Alef Bet for an Open House Tuesday, March 26th from 9-10am. Visit the classrooms that have nurtured pre-school children for almost 30 years and meet the teachers that challenge their intellects and emotions daily. We invite you to be inspired and to discover our community, curriculum and environment. RSVP by filling out the form below. This open house is by appointment only. Names, ages, etc. We're excited to meet you! 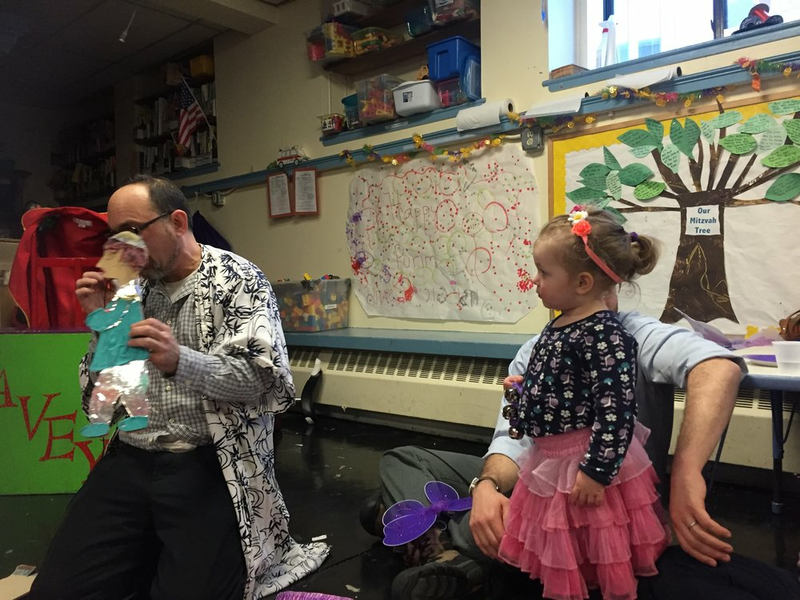 Join us for the Alef-Bet Purim party! Siblings, parents, and alumni are all welcome. Join parents, children and educators from Alef Bet for an Open House Thursday, February 28th from 9-10am. Alef-Bet will be closed for Presidents Day. Join parents, children and educators from Alef Bet for an Open House Tuesday, January 29th from 9-10am. Alef-Bet will be closed for a staff development day. Alef-Bet is closed for Martin Luther King, Jr. Day. Join us for the Alef-Bet Tu BiShevat party! Alef-Bet is closed for New Year's Day. Alef-Bet is closed for Christmas Day. Join us for the Alef-Bet Hanukkah party! Siblings, parents, and alumni are all welcome. Alef-Bet will be closed for Thanksgiving on Thursday and Friday, November 22nd and 23rd. Alef-Bet will close early at 12:30 the day before Thanksgiving. Alef-Bet will be open on Veterans' Day. Alef-Bet will be open for Indigenous People's Day/Columbus Day. Alef-Bet will be closed for Shmini Atzeret and Simchat Torah. Alef-Bet will be closed for the first two days of Sukkot. Alef-Bet will be closed for Yom Kippur. Alef-Bet will be closed for Erev Yom Kippur (the day before Yom Kippur). The All-School Annual Meeting is tonight! Please join us to meet our staff, discuss the upcoming year, and meet other parents. Shana tova u'metuka -- a good and sweet new year! August 17th is the last day of Alef-Bet for the 2017-2018 school year. Alef-Bet will be closed for US Independence Day. Join Alef-Bet for a picnic celebrating Lag Ba'Omer! Join us for the annual Alef-Bet Yom Ha'Atzmaut celebration (Israel's Independence Day). Join parents, children and educators from Alef Bet for an Open House Tuesday, April 10th from 9-10am.